EA is really making the most out of Origin’s Game Time program. 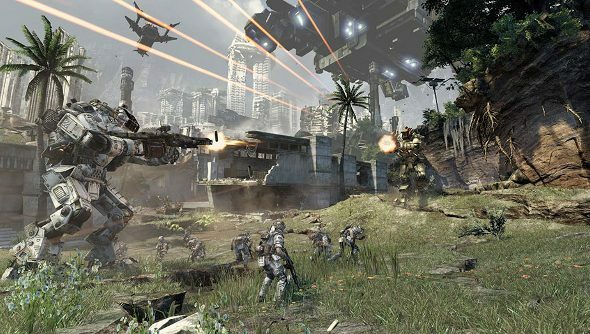 This month we’ve seen Battlefield 4, Kingdoms of Amalur and Plants vs. Zombies: Garden Warfare all up for grabs, and now they are joined by Titanfall. You can add Titanfall, Respawn’s game of jumping, jetpacking and mech-punching, to your Origin game library here. When you launch the game, a timer will start counting down, and you’ll have 48 hours to get your fill. You can start the trial whenever you want while Titanfall is part of the Game Time program, but the countdown will continue even if you’re not playing. The promotion is only available to new players, so if you’ve taken part in the earlier promotion, you won’t be able to this time around. If it worms its way into your heart, you can buy the game and all your progress will have been saved. Conveniently, it’s on sale as well, and you can grab the Digital Deluxe Edition for 60 percent off, or the Standard Edition for 70 percent off. That’s a pretty impressive deal for a game that’s still rather new.